According to We Are Social website, there are 3.48 billion people who are using social media in 2019. 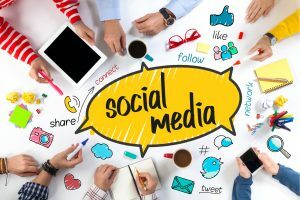 It is important to understand that social media marketing can play a substantial role in building an effective online presence of your business, especially if you are operating in the legal industry. In order to drive traffic to your website and build your credibility, you need to build a comprehensive social media strategy by acquiring services of a professional digital marketing specialist. Saves time and stress – Efficiency is perhaps one of the biggest advantages of maintaining a social media calendar. For instance, if you are looking to launch a new service, you can prepare a promotional copy, supporting content and schedule the post in advance. It prevents you from missing out on important dates, ensuring your content reaches the right audience at the right platform at the right time. It also saves you from the everyday stress of brainstorming sessions on what to post each day, which is a productivity killer and time-consuming activity. Keeps you organized – There are various social media platforms available to market your business, each coming with its own requirements. This can make it extremely difficult and overwhelming to keep tabs on their progress and manage them effectively. That’s why a social media calendar can help you organize your posts in a single place, enabling you to keep track of all posts and plan your social media strategy accordingly. You can hire the service of an experienced digital marketing specialist to help you create a functional social media calendar to organize your social media posts. Confirms post consistency – A social media calendar also helps you to create a consistent flow of activities and posting on your business’s social media accounts, which will help your brand to develop its voice. Taking a proactive approach and maintaining a calendar provides sufficient time to ensure consistency and uniformity in the tone of content, which is critical for the authenticity and credibility of your narrative, especially if you operate in financial, health care, or legal industry. A competent digital marketing specialist can facilitate your business by devising a solid social media strategy to help your business deliver consistent and rich quality content. If you wish to learn more about the advantages of social media calendars or have any questions regarding digital marketing for your legal firm, contact FORWARD marketing at (888) 590-9687.